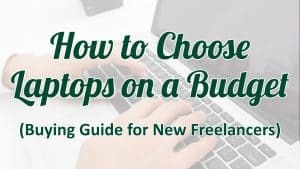 There's really no stopping someone who wishes to be with their kids and be able to take care of them while earning – even without the number 1 equipment freelancers need to have: a laptop. That's Akhimi's story, who was able to pursue her freelancing career with a borrowed laptop. Hear her narrate her remarkable journey in this #JasSuccess episode. Be amazed by how her fighting spirit made her the work-at-home-mom she desired to be so that she can have all the time with her family while being able to provide a better life for them. If you are still contemplating whether to pursue freelancing or not, Akhimi shared her words of wisdom that you can take note of. 19:48 Pag may nawawala, may dumarating. 38:38 Share your small wins. It is very important kasi di mo alam kung sino ang na-i-inspire mo sa mga posts mo. 43:53 Yun yung pinaka-goal ko, na mashare ko ang journey and yung kung paano magwork-from-home, kung paano maging freelancer kasi hindi mabibili ng pera yung time na maibibigay sa mga anak natin. 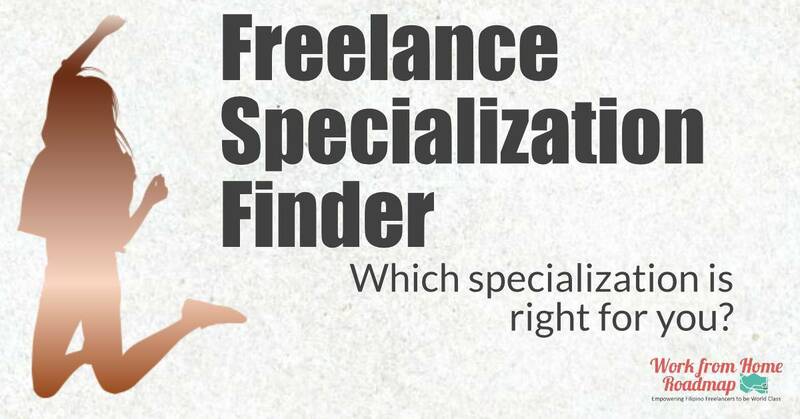 44:17 Kaya kung kaya mo lang din naman maging freelancer, why not? 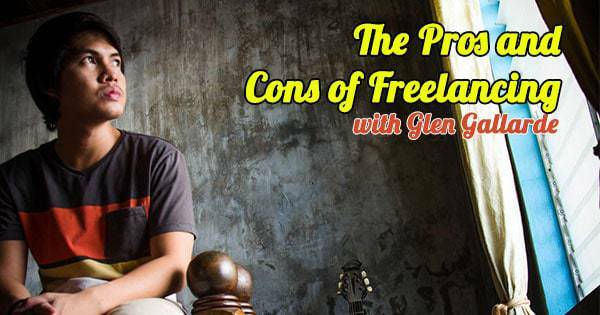 Kasi bukod sa freelancing wala silang pakialam, walang pakialam ang client kung college graduate ka o hindi kasi ang pinakaimportante sa kanila is yung skills kung ano ang mai-o-offer mo. 45:54 Nung first sahod ko din nung December dun sa UK-based ko na client, finally nagkaroon na ako ng laptop, though hindi siya cash pero still galing yun sa pinaghirapan ko. Katas yun ng pagfre-freelance. 46:57 Sobrang sarap ng feeling pala na yung lola ko kada sweldo ko nabibilhan ko siya ng kung anong gusto niya, tapos naaabutan ko. Pinagro-grocery ko siya. Kumakain kami sa labas, sobrang sarap ng feeling. 48:50 If there's a will, there's a way. 58:52 If you listen to your fears you will die not knowing what a great person you might have been. Dapat lagi kang confident sa sarili mo, huwag kang magpapadala sa takot, huwag kang magpapadala sa mga “what if.” At syempre isipin mo kung ano yung pinakagoal mo. Sabi nga sa VAB, “Know your BIGGEST Whys”. She is a college undergraduate who became a mom at the age of 18. When she had her second child, she decided to work because of their increasing daily expenses. She applied in Jollibee as a service crew but got no luck. An outbound call center operated nearby her She was hired as one of the associates. She was unhappy working in a call center because it was night shift. She always felt tired because she lacked sleep. She can only spend 2-3 hours a day with her kids as well. She saw her friend posted an Instagram story about working from She asked her if how it works and if she would qualify. Her friend told her it would be easy for her to land in the same job because she already had experience working in a call center. 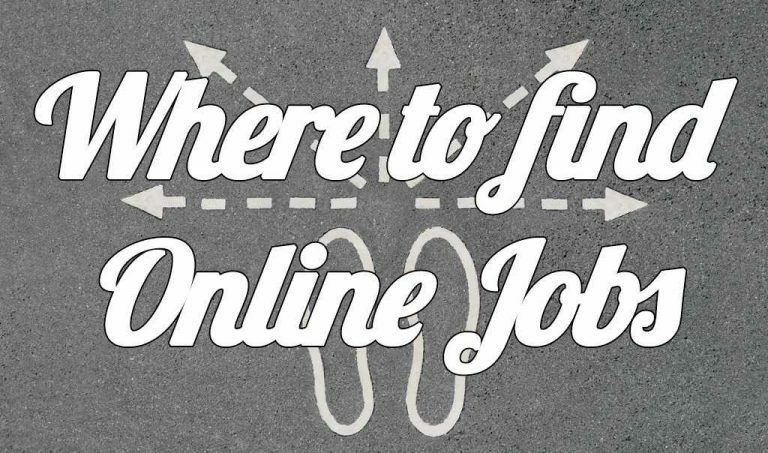 She searched on Google and Facebook about home-based jobs, and it was ph and Upwork that first came out. She immediately signed up using her cellphone. 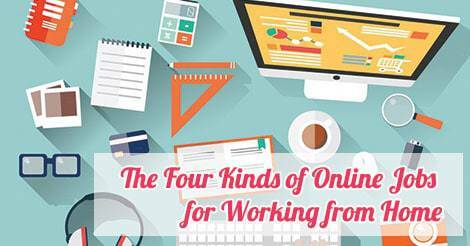 She focused on Onlinejobs.ph that time because her Upwork account was not approved yet. Later on, she realized that she had to have a laptop because of the tests. She contacted another friend and borrowed one. 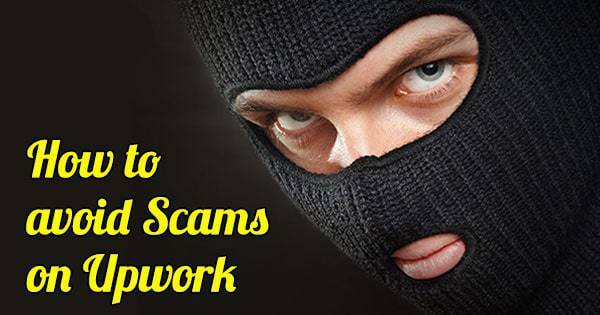 At first, she was hesitant to apply for a job for she thought that it might be a scam. Until she finally decided to submit applications and got a reply from ph. She had to validate the Gmail account of the recruiter to make sure it was legit. She was interviewed, got hired and was told that she can start as soon as possible. She was excited, and at the same time, worried because she had no laptop. She messaged all of her friends who might have a laptop and she asked assistance from her mother-in-law. She received five thousand pesos but it was not enough for the downpayment. But luckily, she was able to borrow a laptop from her husband's cousin. Her first online client was a VA agency based in Indianapolis. After 3 months, she was fired because she can no longer meet the weekly target. It saddened her so much but she moved on. After a few weeks of applying again, she was hired through com platform. Part of her role was to offer loans to US Business owners. It was not easy for her. There were times that the prospects would curse her and asked her to stop calling them. Because of this, and due to the company's high expectations, she resigned. She was jobless for 1 month and started to doubt herself – that maybe freelancing was not for her. Then she came across with FLIP (Freelancers in the Philippines) on her Facebook She joined and watched Jason Dulay's Jas Success interview with Daise Virtudazo. She was really amazed and even told herself that she would also be an inspiration to others someday. She also got a UK-based client where she worked as a sales associate. She promised herself to take good care of this client because she can no longer afford to lose him. She enrolled in the VA Bootcamp in December 2018. Since she enrolled in the VA Boootcamp, she was inspired even more because of the success stories of the previous students. She even idolized Nerissa Avila for having 3 clients at the same time and dreamed of getting the same number of clients as well. She pushed herself to finish the modules, edited her Upwork profile because she really wanted to have it approved. She got new supportive friends – her co-Slack moderators. Finally, she got her Upwork profile approved! She wanted to join the February Hustle Challenge but did not pursue because she still had her UK-based client. She thought she handle it at the same time. Unfortunately, this client ended the contract on her son's birthday. She felt so down and cried. She realized that applying for a freelance job could be tough. She did not give up. She reviewed the lessons and studied how to make good quality proposals. On February 21st, a day after her birthday, she got her first invite in Upwork. She submitted her proposal and after a few minutes, the client replied. Eventually, she was hired. From then on, she always gets replies to her proposals almost everyday, and a client almost every week. Please help me to start. Data lang po ako sa gabi pero sa umaga, mga 9:00 to 10:30, may WiFi. Pag gusto mo talaga ang isang bagay gagawa ka talaga ng paraan. Yun yung ginawa ko kasi may internet ako ang wala ko is laptop. So ginawan ko ng paraan, minessage ko lahat ng pwede ko i-message para makapanghiram lang ako ng laptop. For now PC lang ang meron ako, pwede na ba yun na start sa freelancing? Oo, PC or laptop same lang yun. Ang kagandahan lang naman sa laptop is pwede mo siya dalhin kahit saan. Paano po maging lead generator? Yung sales skills ko talaga sa lead generation is more on pagca-calls lang. Lately ko lang din narealize na pwede mo rin siya ma-achieve sa LinkedIn. Gumagamit ng tools like Sales Navigator and Email Hunter. Pwede pong CP lang gamit? Hindi. Yung courses ng VAB pwede magstart sa CP, pweding panoorin pero yung mga assignments kailangan mo talaga ng laptop. And yun nga, eventually maha-hire ka, kailangan talaga ng laptop na magagamit. Please start by clicking this link: https://vabootcamp.ph/paano-maging-online-freelancer. You can also check the free course at freevacourse.com. Anong work po ang pwede sa internet shop lang? Mga admin and project-based. Di ka pwede magcalls kasi maingay. Kailangan mo kunin yung mga flexi-time ang schedule. How many clients do you have now? Three. Yung isa flexi-time, yung isa is full time, at yung isa which is yung recent ko, $10 per hour. Paano mo nama-manage yung 3 clients at the same time nag-a-alaga ng mga anak? Hindi naman ako masyado nahihirapan kasi nga nasa bahay lang. Ang asawa ko ang nag-a-alaga sa mga anak ko habang nagtatrabaho ako. Pag umaga naman wala akong ginagawa sa bahay kasi may katulong kami dito. Pwede ba kahit employed sa government? Yes, kung kaya mo naman pagsabayin. Dapat ba talagang mag-enroll muna? Depende. Iba-iba kasi tayo ng personality. May taong natututo on his own. Pero ako, sobrang tulong sa akin ng course kasi tamad ako magbasa. Dito kasi ini-explain na lahat eh, outlined na siya. Isa pa, may support group. Isa yun sa pinaka-importante. Can I be one of you,? pano mag start..wala akong lop tap at maayos na celpon? hi po bago lang ako sa group….gusto ko po malaman kung paano makaka join sa book keeping course yung package na po? paano po at anu ano ang mga steps na kailangan ko gawin? When do I start working? Hello po,watching here at qc. Ma’am yung mga agency po ba talagang my membership fee minsan? Pra sa workstation daw na ibibigay nila? Watching from cagayan de oro. Great words. It is motivating. Ako nagcacalls para sa ecommerce ng client ko. But I used to it. No complain. Ako din olj din ako. Hello po! Cedrick po from Carmona, Cavite! Nice motivation Akhimi..i hope i can managed too. Thank you Ms. A & Ms. Akhimi sharing ur story! Nkk inspire! We will miss you Ms A! Sabi nya po calls lang ang setting appt..how do i apply for that? I think kaya ko na yun. Thanks po..puede po pakiexplain further po ung lead generation? hi maam sorry po part two po. ano nga po ult un miss mag register? sa meet up po ba? Ano.po ung nature ng work mo? Mahar Delos Reyes Pedral tjank you for your reply.. since nirepmyan mo na rin lang ako..can i ask.so.e.more favors? What is lead generation? Maraming maraminh salamat po ms. Akimi at ms. Anna! fast Track To Freelancing tonight. Saan po mgb2yad just incase gsto m n mgstart mgenroll if abroad k? Magkano po yung hourly rate nung first two jobs nyu po before nag achieve ang $10 po? Jill Genoves Opo.. Me 7am-7pm work ko..
Managable po kaya kahit may work po ako 8-4pm?